Knife blade – for chopping, crushing, blending, mixing… Stainless steel Sabatier knife blade. Dough blade – for heavy pasta dough, bread dough, brioche and pastry. Slicing discs – 2 mm and 4 mm: fine or thick slicing. Stainless steel Sabatier disc. Mini bowl and mini blade – ideal for chopping herbs, onions, small quantities, making salad dressings. 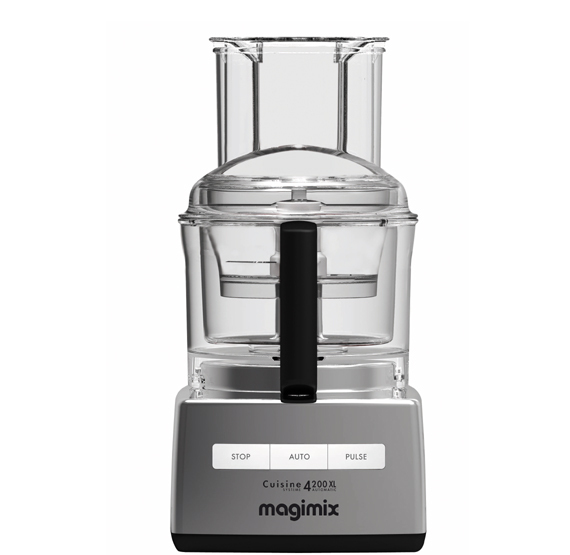 Main bowl – for mincing, mixing, chopping, kneading, grating, slicing, emulsifying. BlenderMix – a finer and improved blend for velouté soups, smoothies and pancake batters. Grating discs – 2 mm and 4 mm: fine or thick grating. Stainless steel Sabatier disc. Spatula – for easy cleaning.